Motor Driven Lance Type Progressive System | Overview | Daikin Lubrication Products & Engineering Co., Ltd.
• Suited to installations where there are many locations to be lubricated by the same lubricating amount. • Effective in locations where there is little space or where it is difficult to check operation of distributing valves. • Grouping inspection locations together makes maintenance easier. 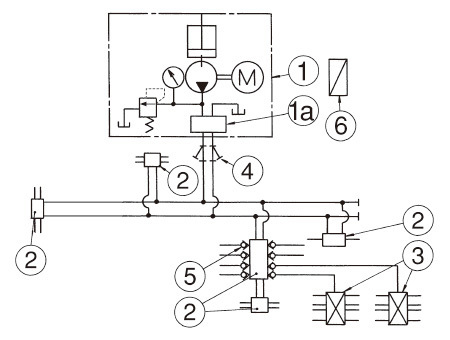 The basic operation of this system is the same as the motor driven lance type. 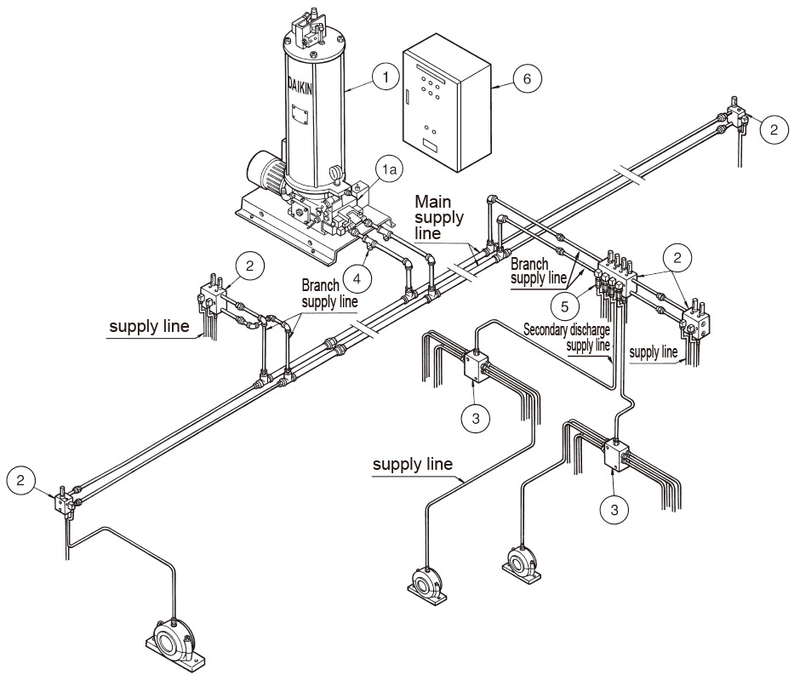 With a progressive system, lubricant is supplied from the parallel operating type 1st distributing valve (2) to the progressive operating type 2nd distributing valve (3) via the secondary discharge supply line, where it is supplied to bearings with 4 to 8 ports from a port of the 1st distributing valve via the 2nd distributing valve.